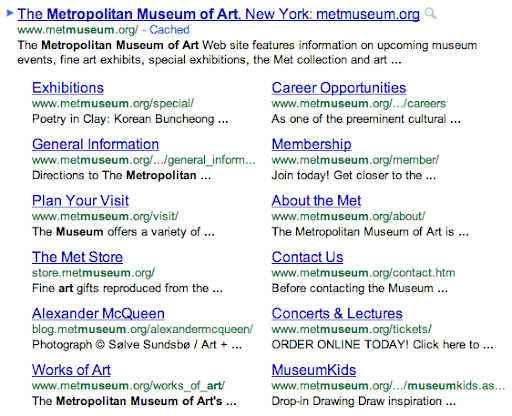 It turns out that sitelinks are quite useful because they can help predict which sections of the site you want to visit. Even if you didn’t specify your task in the query, sitelinks help you quickly navigate to the most relevant part of the site, which is particularly handy for large and complex websites. Sitelinks can also give you a good overview of a website's content, and let webmasters expose areas of the site that visitors may not know about.